Dressing nicely each day can take some effort but will ultimately be worth it if your outfits make you feel confident and happy. If you want to look great every day, you will first have to go through your wardrobe and fill it with classic outfit staples. Looking awesome also involves some planning and accessorizing that may take some getting used to but will ultimately result in some stylish outfits. Buy classic pieces. To dress nicely, it is important to have some classic pieces in your wardrobe that will never go out of style. Classic pieces are articles of clothing that are generally not too extreme or dated. Instead, they are generally simple and elegant, like a navy blue blazer or a well-crafted black V-neck t-shirt. Though they may sound simple, you can always dress these pieces up with accessories. Basic, classic pieces are generally easier to mix and match, which means that they can be used in a variety of outfits. Purchase a few accent articles of clothing. To go along with your classic articles of clothing, buy some accent pieces that will make your outfits pop, even if they are simple. These accents could be bright colors that you don’t normally wear, or patterns that pop. 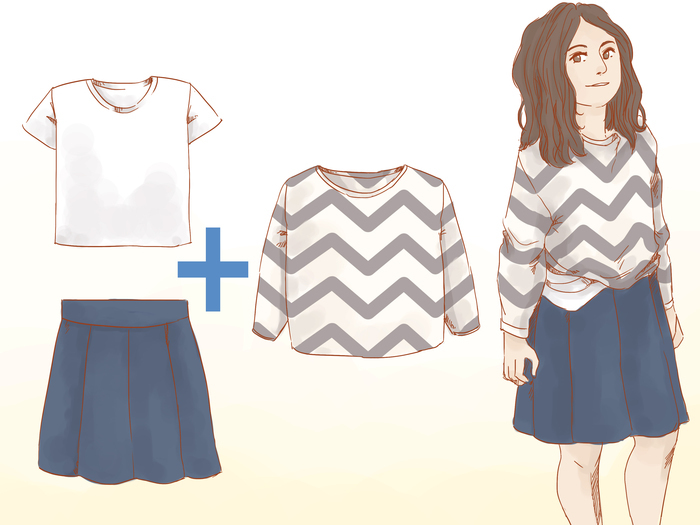 For example, you could take an outfit that is as simple as a white t-shirt and a navy blue skirt, and make it interesting with a patterned sweater. Purchase clothes that you can mix and match. When going through your wardrobe, consider whether or not you can use each article of clothing in at least two different outfits. Mixing and matching is an important part of dressing nicely everyday. While you most likely can’t purchase a new outfit for every day of the week, you can buy clothing that you can mix and match to create entirely new and exciting outfits. 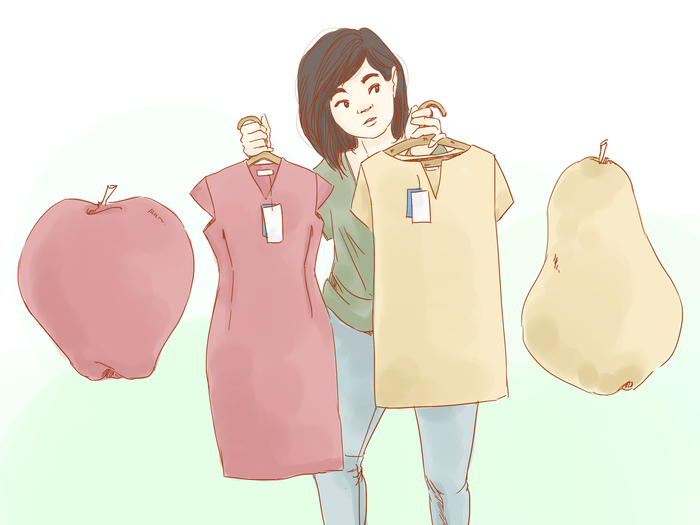 If you have a ‘Pear’ shape, which means that you have wider hips and a slimmer bust, you could try out an open-neck top, or a dress with an empire waist. 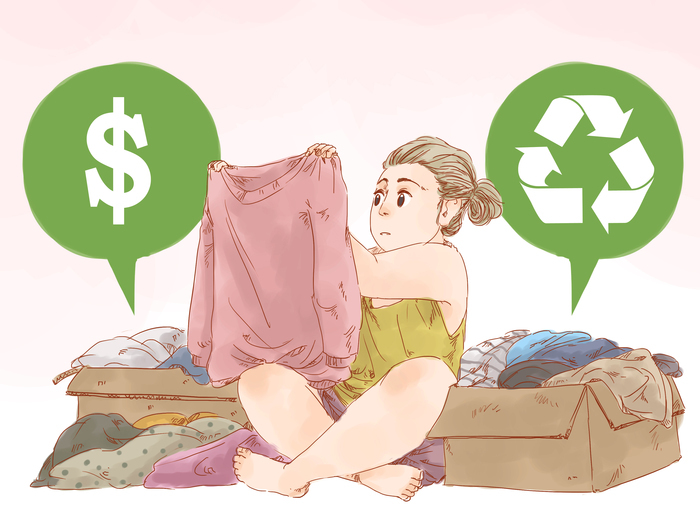 Get rid of clothes that are worn or torn. 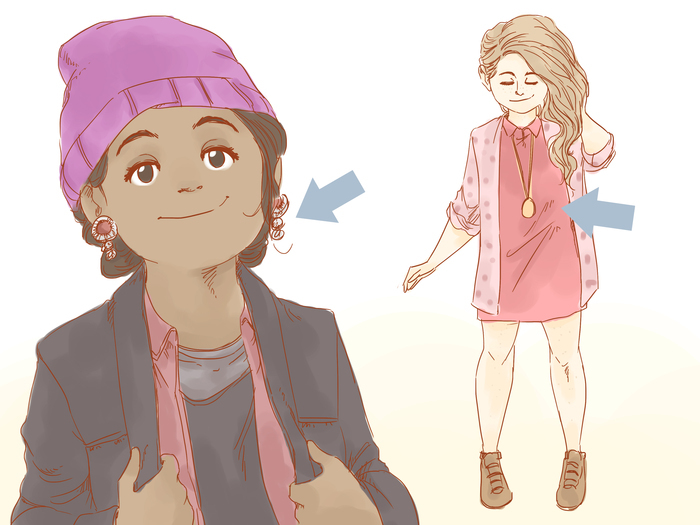 Part of dressing nicely means giving away or selling old clothes. Clothes get worn out, especially if you wear the same piece a lot, and worn out clothing does not necessary look very classy—unless you are going for a look that involves faded clothes and torn jeans. If you find that a shirt has a stain, try your best to get it out, but if the stain remains, it might be time to toss the shirt. Clothes with stains tend to look a little sloppy. 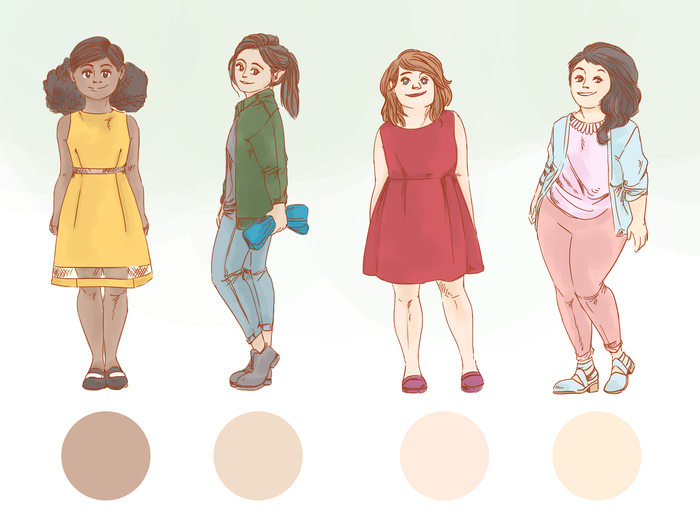 Very light skin tones: Ice tones, pale pinks, greys, baby blues, navies, and grass greens. 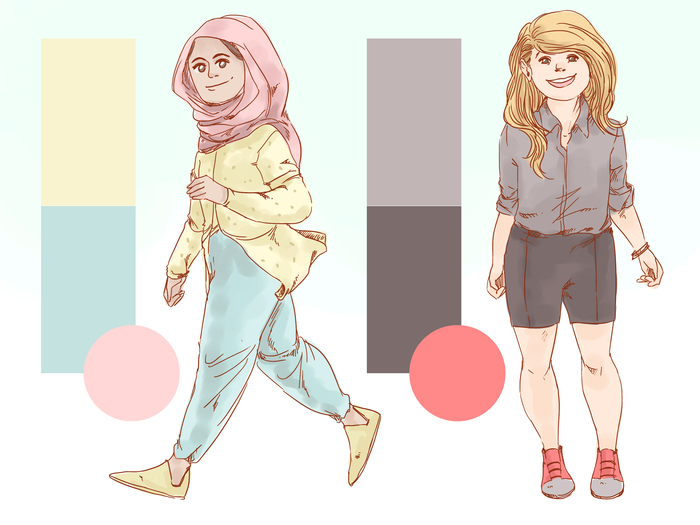 Medium-light skin tones: Pastel colors, cool reds, and blues. Avoid orange. Medium skin tones: Metallic tones, jewel tones, plums, wine reds, bright blues, deep purples. Medium-dark skin tones: Deep colors like dark greens, bright blues, pale yellows, warm reds. Very dark skin tones: Bright colors like burgundies, cobalt blue, bright orange, and red. Hang up your clothes and invest in an iron. Another part of dressing nicely is keeping your clothes in tip-top shape. This means hanging up clothes when you can, and ironing folded clothes. 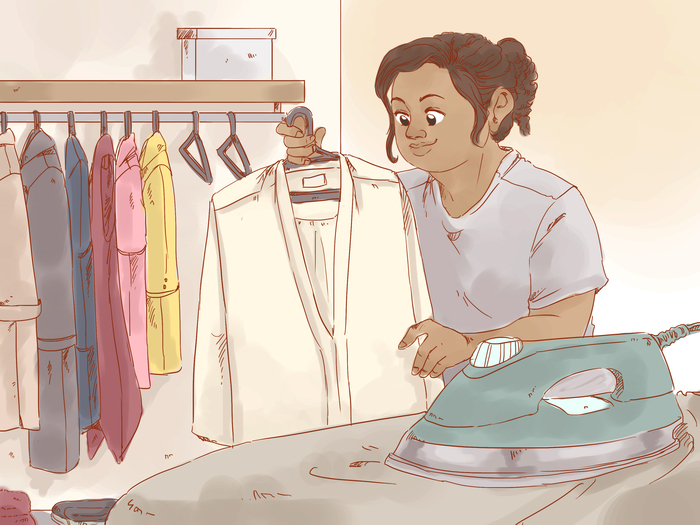 If you are not sure how to iron your clothes, click here. You can also try steam pressing your clothes. Plan your outfits. One aspect of dressing nicely is taking the time to plan your outfits. This might mean planning your outfit the night before, or planning an entire week’s worth of outfits at the beginning of the week; go with what works best for you. 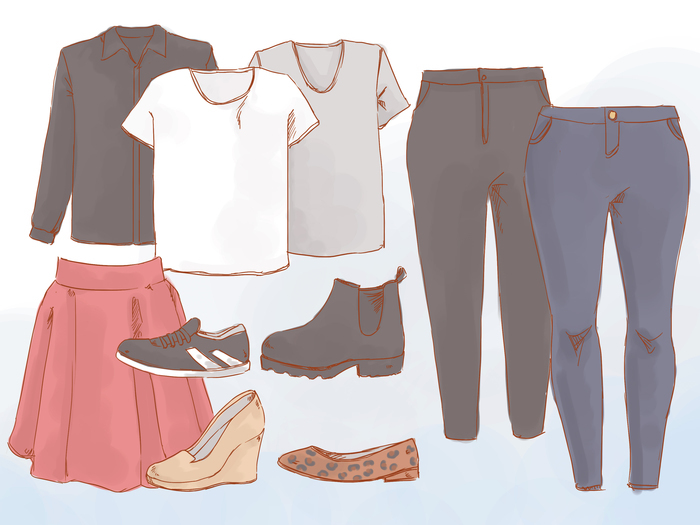 Trying to figure out a great outfit in the morning before school may make you feel a little too stressed, so take some time to consider your wardrobe and try on several different outfits that you could wear. 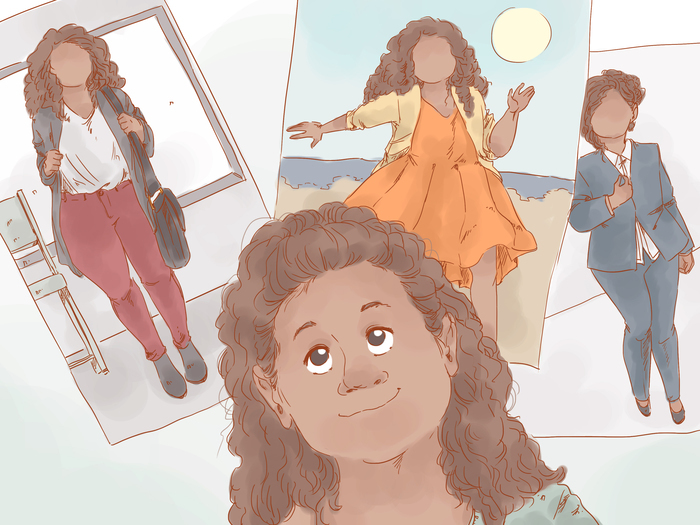 Some girls find that trying out outfits and taking photos of the ones that they like to put in a binder can help them to decide on an outfit when they are in a rush. 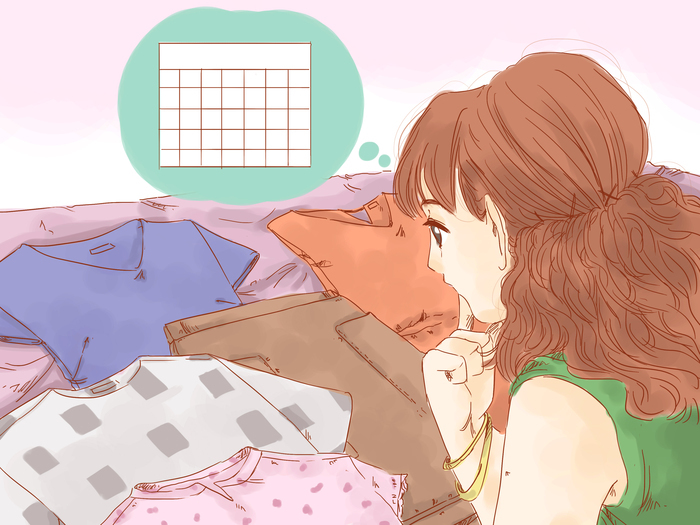 If you plan a last minute outing with your friends, simply flip through the binder and pick out a pre-planned outfit. Consider the occasion you are dressing for. When planning your outfit, think about what you will be doing in that outfit. Different events call for different kinds of clothing. For instance, if you’re going to school, try not to show too much skin, or wear a shirt that is too low cut. On the other hand, if you’re going to the beach with your friends, wearing a summery dress and shoes you can walk through the sand with may be the way to go. If you are not sure what would be appropriate to wear to a certain event, such as a cousin's baptism, or a job interview, don’t be afraid to ask friends or family for advice. Wear clothing that makes you feel confident. When picking out your outfit, make sure that you feel good in your clothes. Ultimately, you should be dressing nicely for yourself rather than dressing for anyone else. 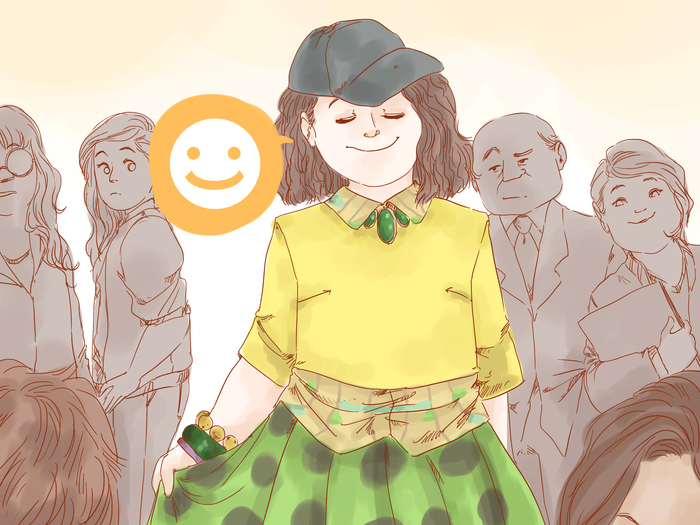 It is important to feel comfortable and happy in the clothes that you are wearing; projecting confidence and enthusiasm will give your outfit that extra, energetic boost. Try to keep in mind that if someone only likes you when you are dressed up, that person might not have their priorities straight. First and foremost, dress the way that you want to dress. Try to avoid combining patterns. While you may be able to get away with some very subtle pattern combinations, it is generally a good idea to only have one pattern in your outfit. Clashing patterns can often make an outfit look sloppy. 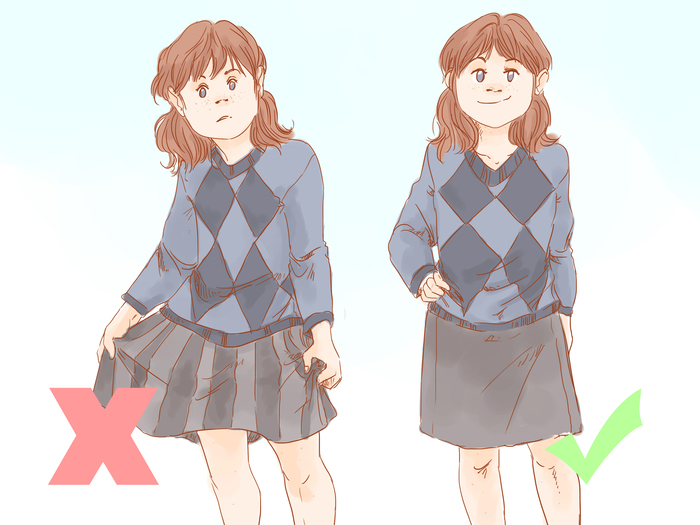 For instance, if you were wearing an argyle sweater, you would most likely want to avoid wearing that sweater with a striped skirt. Consider using the rule of three. If you are having trouble putting together an outfit, using the ‘rule of three’ can help you to create a quick but elegant ensemble in no time. 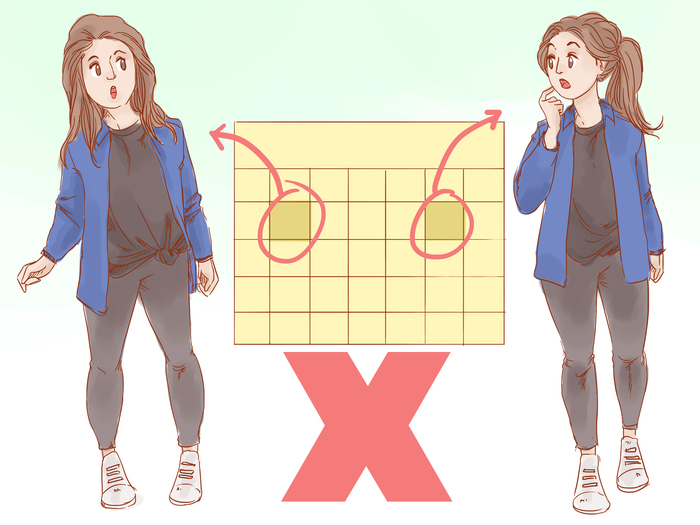 When using the rule of three, pick out three colors: two that will be your base colors (most likely your shirt and pants or skirt) and one that will be your accent color. Your base colors could be subtler colors that go together well, such as navy blue shirt and camel skirt. Your accent color should be a brighter color that makes the rest of your outfit pop, such as a red thin belt or a silver-laced scarf. Try to wear something extra cute at least once a week. While you may want to look nice every day of the week, throwing on an outfit that really dazzles once a week can help to make you feel that much more well-dressed. Take the time to really come up with this eye-catching ensemble. Try to avoid wearing the same outfit twice in a week. 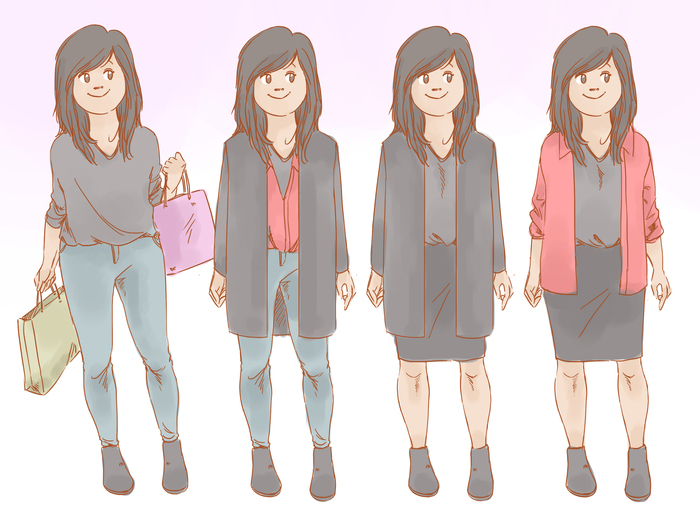 While this will not be possible if you have to wear a school uniform, or a uniform for work, try to avoid wearing the same outfit two times a week if you are planning on hanging out or being seen by the same people. If you have two different parties to go to, however, and the people at these parties won’t overlap, feel free to consider wearing the same great outfit. By no means does this mean that you avoid wearing the same article of clothing twice in a week. If you have a skirt that works well in two different outfits, feel free to rock both of these ensembles in the same week. Remember, mixing and matching is the key to making you feel like you have an endless wardrobe. Create an emergency outfit. Some days, you might find that you just don’t want to wear the outfit you have planned. On those days, its important to have an emergency backup outfit. This outfit should be simple, comfortable, and easy to accessorize with. For example, your emergency outfit could be a pair of nice jeans, a tank top in your favorite color, and a cropped sweater. 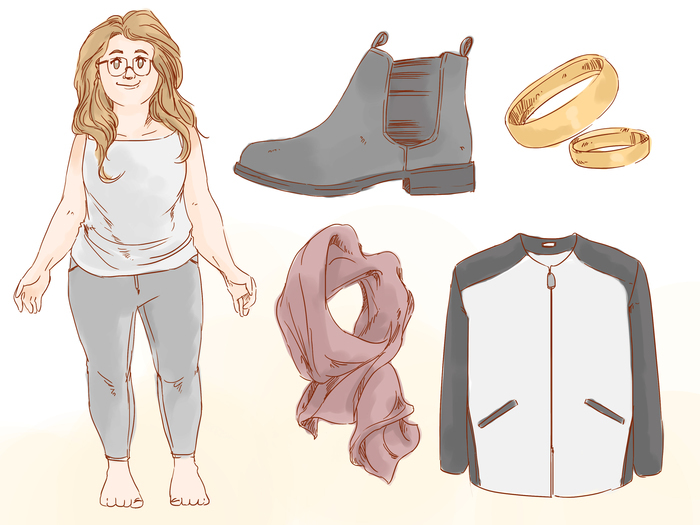 With these basic items already put together, all you need to go is add a necklace, scarf, or rocking pair of shoes and you’ll be good to go. Pick out some shoes that will look classy. 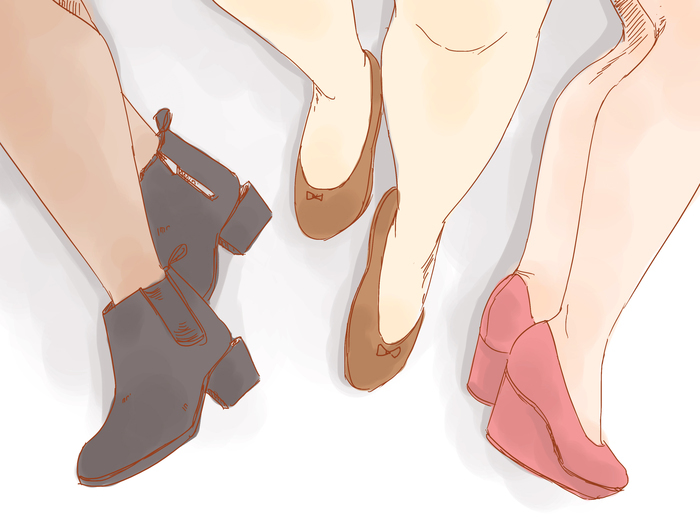 If you are shopping for shoes, try to pick out a couple of pairs that can be worn with most of your outfits. These could be classic black flats, a nice pair of boots, or short wedges that you can wear with your skirts and dresses. Try on the shoes and make sure you can walk in them easily; if you are planning on wearing them with many of your outfits, it’s important to be able to walk in them. Wear shoes that would for the occasion. 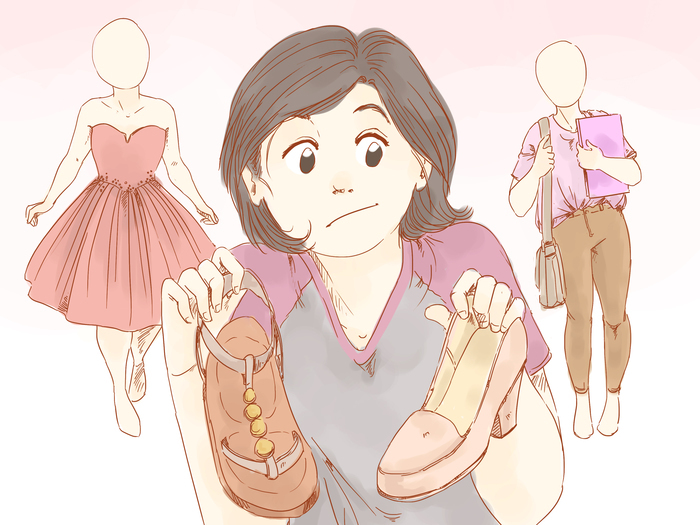 As with your clothes, consider the event you are going to when picking out the shoes you will wear that day. 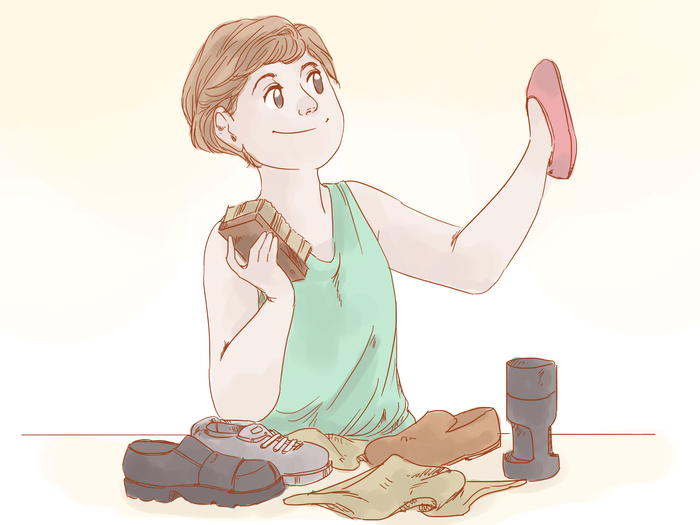 In certain formal events, sandals might not be appropriate, while wearing high heels at school might make it hard to get from class to class on time. 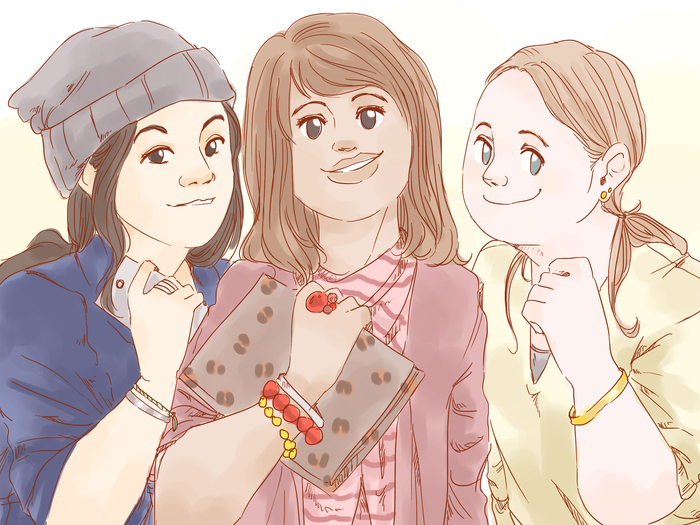 Try out different kinds of jewelry. Accessorizing can help to take your outfit to a whole new level. When creating outfits for yourself, try on different kinds of jewelry and see how they change or affect the outfit you are wearing. Sometimes, adding a statement necklace or chandelier earrings can take your outfit from nice to outstanding. However, try not to over accessorize. For example, if you are planning on wearing a chunky necklace, try wearing a small pair of stud earrings, rather than a pair of dangling earrings that could make your jewelry feel overbearing. Consider where you want the focus to be when accessorizing. Jewelry can draw a person’s eye, which can be both a great thing, and an unwanted thing. For example, if you want your focus to be on your face, wear large or dangling earrings. If you want the focus to be on the rest of your outfit, consider wearing a longer necklace that ties your whole outfit together. However, if you are wearing a low-cut shirt, try to refrain from wearing a longer necklace, as it might draw too much attention to your chest area. Try out different kinds of accessories. Accessories are not just limited to jewelry and shoes. 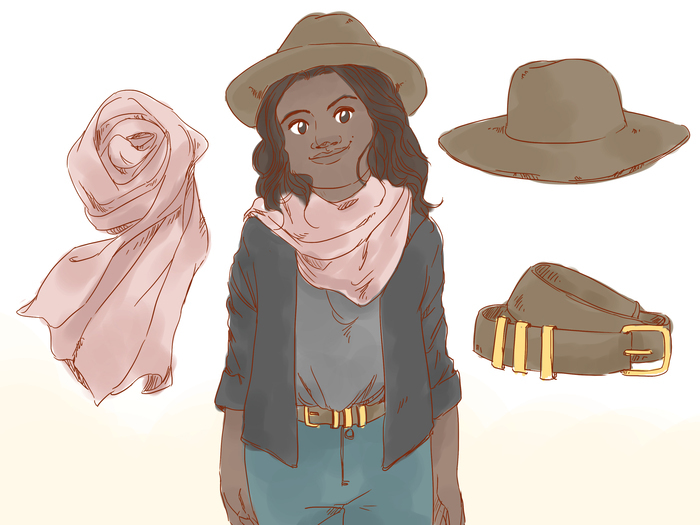 You can really spice up an outfit by adding an accent scarf, a colorful belt, or a stylish hat. Play around with different kinds of accessories that fit into your style. Create your own ‘golden rule’. The ‘golden rule’ refers to the maximum number of accessories you will allow yourself. This is completely based on your own opinion. Some people like to layer necklaces and wear funky shoes. Others, prefer a chic minimalist style in which you choose one or two accessories that compliment your outfit. Remember that you can change your golden rule when you feel like it doesn’t reflect your personality anymore. 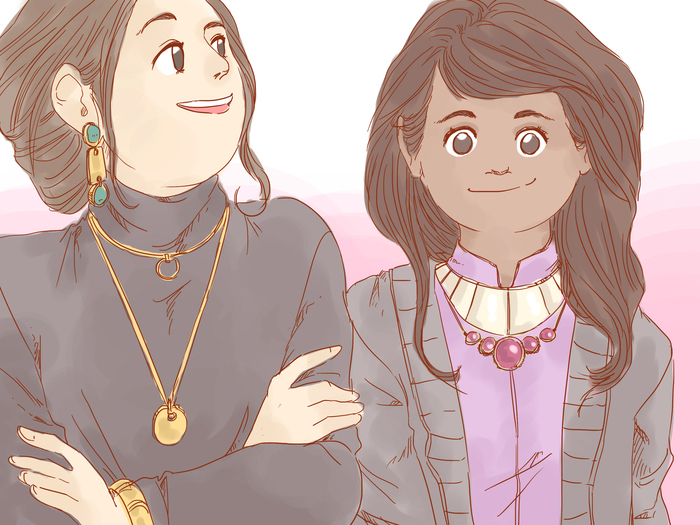 For instance, maybe you like wearing three necklaces and a bunch of bracelets, but during the year your preferences chance and you decide to limit yourself to three accessories; go with what will make you feel happy and confident. Be open to inspiration. If you see a look you like in a magazine, try it out! Pick out outfits that will make you feel great when you wear them. Check out 'we heart it' app. People are posting outfits where you could get inspiration on what to wear. 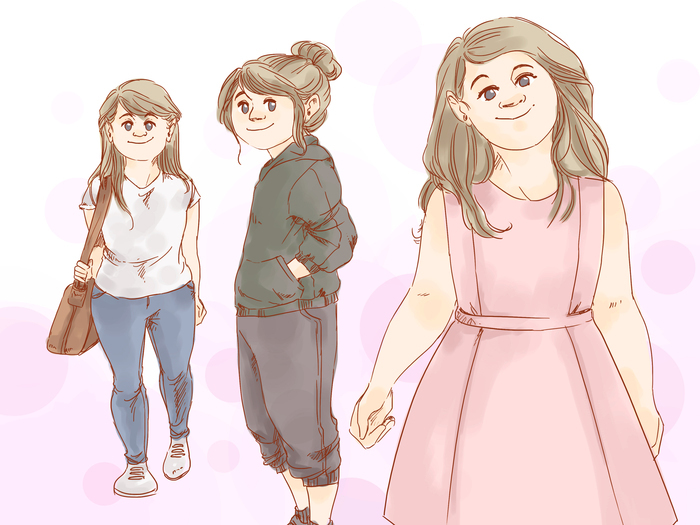 Always buy clothes you can wear to multiple settings such as a cute dress that can have heals and a handbag or be dressed down with a cardigan and sneakers.